Jerry Lewis and Charlie Sheen are floated (jokingly?) as J-Lo replacements. Spears storms off "The X Factor" set. Welcome to the talent TV show silly (off-) season. 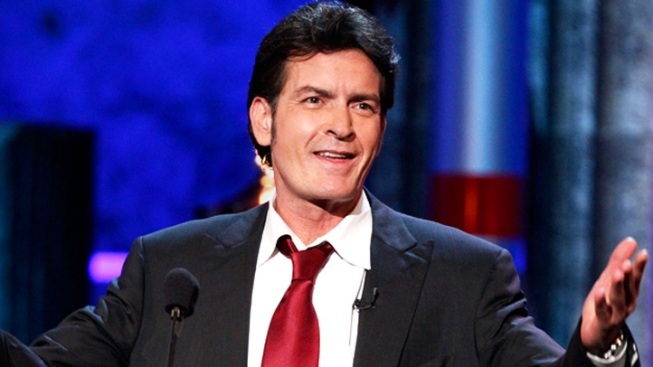 Charlie Sheen apparently wouldn't mind being an "American Idol" judge. "American Idol" producer Nigel Lythgoe reportedly floated the unlikely duo Jerry Lewis and Charlie Sheen this week as possible replacement judges for the show, which faces a potential panelist exodus. We suspect he was joking (the folks at TMZ, which posted his comments, seem to think he was kidding, though Sheen is said to like the idea). Still, Lythgoe’s apparent stab at humor highlights the growing pressure to stand out in the increasingly competitive and crowded TV talent show field. Summer has become the genre’s silly (off-) season – a contest fought with tidbits, manufactured and otherwise, designed to build anticipation for programs that would be better served by cultivating and promoting the talent. So we get Britney Spears, the new big-name judge on Fox's "The X Factor," inciting a gossip tizzy by walking off the set when a man in drag sang her hit "(You Drive Me) Crazy" for his audition. "The Voice," meanwhile, named crooner Michael Buble to advise hopefuls on judge Blake Shelton's team. We likely can expect additional carefully timed announcements of more celebrity helpers for the other three would-be star-makers leading up to the NBC show's September return. Even amid a ratings drop, Fox's “Idol,” expected to begin its 12th season in January, is still TV’s most-watched singing talent show – and still the most effective (and most shameless) when it comes to feeding the voracious hype machine. Fergie, Mariah Carey, Miley Cyrus, will.i.am, Nicki Minaj and Katy Perry all saw their names chewed over in recent days. So did former contestant Adam Lambert, who finished No. 2 in Season 8 (at least he still has name recognition – quick: who was the last winner?). All the chatter marks a case of what Yogi Berra (among the few notables not yet to emerge as a possible replacement panelist) famously called, "Deja vu all over again." This all started with Paula Abdul’s much-dissected departure from “Idol” in the summer of 2009, a season after Kara DioGuardi became the show’s fourth judge. Ellen DeGeneres came and went, along with DioGuardi. Simon Cowell left after Season 9 to start the U.S. version of “The X Factor” – hiring Abdul and then essentially replacing her with Spears after one lackluster season. “Idol,” now judged by show mainstay Randy Jackson, Jennifer Lopez and Steven Tyler, faltered this year, with the ratings for the finale down nearly 30 percent. Contracts for the three judges are reportedly up, though Lopez has made the most noise about leaving. Which likely spurred Lythgoe’s not-so-funny apparent joke. We’re more amused that the strongest comedian in the TV talent show world – Howard Stern – has defied predictions by keeping his tart tongue more or less in check and generally steering clear of controversy since joining “America’s Got Talent” in May. He’s reinvigorated the show by infusing his ample wit with more charm than venom. Sure, it’s the dead of summer, but the NBC show has been television's No. 1 non-sports broadcast for the last six weeks – no mean feat, in more ways than one. Talent shows ultimately will rise and fall on the level of talent, not on tiresome, off-stage judge-driven dramas – even if the nutty prospect of Jerry Lewis and Charlie Sheen sitting next to Randy Jackson next season on “Idol” may be too good to pass up.